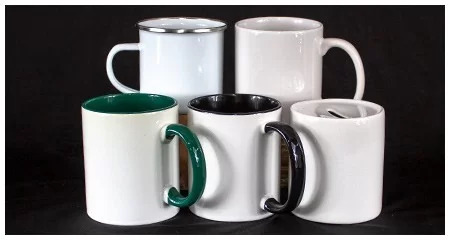 Welcome to our Coffe Mugs section. 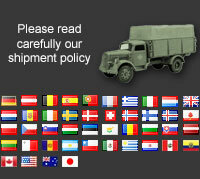 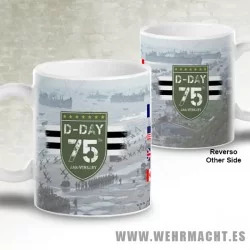 In this section you will find our range of personaliced coffe mugs, beer mugs and moneyboxes. 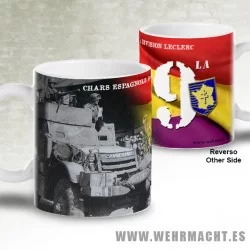 You can customize some of our items with your name, rank, division and images, too you can select coffe mug made of porcelain or metal. 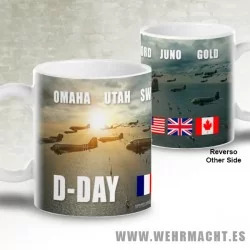 D-Day coffee mug with nice full background of Normandy Landing. 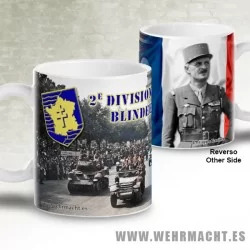 Full colored coffee mug with a nice original Kriegsmarine ilustration, full colored. 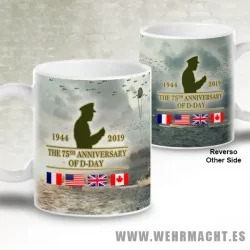 Full colored coffee mug with a nice original Luftwaffe ilustration, full colored.